Open source software is set to play an increasingly important role at Australia’s sixth largest bank, according to Smith, who said that Suncorp will look to use open source “wherever we can”. Press Release – 64 Studio 2.1 ‘A Minha Menina’ released! 64 Studio is a GNU/Linux distribution tailor-made for digital content creation, including audio, video, graphics and publishing tools. This is Linux Mint 5, codename Elyssa, based on Daryna and compatible with Ubuntu Hardy and its repositories. It has been a busy week for Sugar Labs. 1. Sucrose: On behalf of the Release Team, Simon Schampijer announced Sucrose 0.81.2 (Development Release). Features of this new release include elimination of some platform dependencies, an improved activity-list view, a graphical user interface to the Sugar control panel (including settings for Frame activation delays), and expanded internationalization of Etoys. The next development release is scheduled in two weeks. Thanks to everyone who made this release possible! Mandriva always stands one step ahead of other distribution in terms of overall experience.. Though ranked #6 in Distrowatch.. Mandriva features and utilities makes it one of the best newbie friendly distro out there.. The best feature of Mandriva is that the developers try to re master the new release from the scratch..
How’s Red Hat Enterprise Linux 5 Doing? As I reported two weeks ago, Red Hat expects to get an updated to RHEL 4–the 4.7 release, to be precise–out the door on July 21, which will include updates for hardware, bug fixes, and security patches. Red Hat hopes to have RHEL 5.3 ready in January 2009 or so. First off, I have been asked by Christian not to name the school. Microsoft is terribly sensitive to the loss of any school in California, as they have to pay for millions in replacement equipment and software due to a court order. Nokia’s Chief Financial Officer Rick Simonson last month called Linux’s role “terribly important” at an investor conference, saying Nokia had been developing the next generation of Linux-based products, which are starting to come to the market. LiMo’s transparent governance model and a critically important intellectual property (IP) safe harbor to refine the Foundation’s common, Linux-based middleware platform — while remaining entirely free to deliver their own compelling and differentiated services to mobile customers. GPL: why can’t a lawyer understand it? Who Will Rule The New Internet? In many ways, these companies are technology’s standard-bearers, though their guiding philosophies differ. Google, for instance, advocates an “open” Web and tends to push for open standards and alliances among developers. “The tools market is dead. Open source killed it. The only commercial tools that can survive today are the ones that leapfrog open source tools.” Thus argues John De Goes, president of N-BRAIN, which creates and provides UNA, a source code editor. Bots to blame for Amazon.com outages? Big Brother: Sarkozy calls for it, his government does it. It was only several hours ago that this mailing list thread came to our attention. Therein, Mark Shuttleworth addresses a post from Boycott Novell. An anonymous reader took it upon himself to respond to it. His response is quoted below in full. Context and background can be found here. “FOSS distros shouldn’t be a vector for licensing problems…”If Mark Shuttleworth wants to be unambiguous about it, he needs to state “is not and shall not” make a deal for closed codecs. I know that comes close to splitting hairs, but his answer will help prevent unpleasant surprises. If he’s dealing with proprietary codecs, or general Microsoft technology, he should be wise from the mistakes of others: there’s a trail of out of work CEOs that thought that their company should remain “willing to work with Microsoft, under reasonable and transparent conditions, to further goals that we share” e.g. Mark’s not dumb. He shouldn’t try to act dumb. Just how would Canonical survive a deal with Microsoft when no other company to-date has? Subnotebooks, especially those with small HDs or SSDs don’t have 100′s of GB to spare for mono-bloat for just a few packages. Subnotebooks, especially those with low power CPUs don’t have the gigacycles to deal with mono’s bloat spaghetti code. FOSS distros shouldn’t be a vector for licensing problems, like the ones still unresolved after (10?) years of mono. We haven’t sufficient time to write about this in great depth at the moment, but there are various developments in Europe which readers ought to know about. 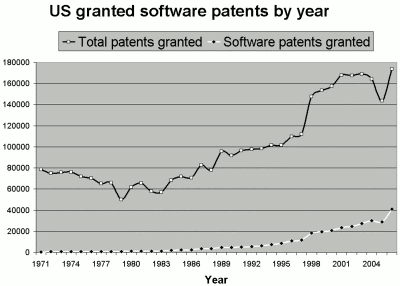 These affect handling of software patents, Free software, and open standards. Over in the IRC channel, we were told a little while earlier: “ECIS confirmed this morning that Microsoft appeals to the ECJ on patents. this is big news because all the press says they appeal on the “fine”, but in fact they just want certainty to tax Samba and Redhat.” This information is based on private talks with ECIS. Further to this, consider the fact that the Commission is testing a migration to GNU/Linux and has an embargo proposal on its desk. As it turns out, based on a press release, it spends far too much money on software from the very same company it endlessly reprimands. Commission pays Microsoft each year 226EUR for its office infrastructure. Commission has approx 36,000 users. Make the math. Commission makes also “open” tenders which prefers Microsoft products. Ms. Kroes has fought bitterly with Microsoft over the past four years, accusing the U.S. software giant of defying her orders and fining the company nearly $2.68 billion for violating European competition rules. But the speech was her strongest recommendation yet to jettison Microsoft products, which are based on proprietary standards, and to use rival operating systems to run computers. You can find the speech here and you can also find a less critical (or moderate) article here. The EU’s top antitrust official on Tuesday called for governments to favor open-source software for their own use, taking aim at Microsoft Corp. for ‘locking in’ customers to their proprietary technology. In other news from Europe, recall the Nokia-Ogg disaster and watch the following curious new appointment. EICTA, the industry body representing the information and communications technology and consumer electronics industries in the European Union announces that Erkki Ormala has been elected as President and Chairman of the Executive Board. Dr. Ormala is Vice President, Technology and Trade Policy of Nokia Corporation where his responsibilities cover political, regulatory, economic, market access and other business environment related issues. The main Eicta policy issues are in his area of responsibility at Nokia. He takes over from Rudy Provoost, who led the organization for the past four years. Another change in the European patent system was published or at least highlighted by Digital Majority yesterday. The council of ministers in Belgium has decided last 23rd of May to proceed with the ratification of the London Agreement, in order to scrap the requirement for translations of patents granted in Belgium in Flemish. In other patent news, you may find of interest the following end of a patent dispute between Acer and H-P.
A patent war erupted between the two companies last year after HP filed patent suits against Acer accusing the Taiwanese PC vendor of infringing on at least 10 HP patents and sought to block Acer PC imports to the U.S.
Also of interest is this case of patent royalty madness. The justices unanimously said LG could not enforce its memory-technology patents against both Intel and the computer makers that install Intel’s chips in their machines. The judges said LG’s power to extract royalties was “exhausted” by its licensing agreement with Intel, of the United States. Justice Thomas delivered the Supreme Court’s 19–page unanimous decision that provides some new life to the doctrine of patent exhaustion. The opinion reverses the Federal Circuit and holds that under the exhaustion doctrine applies to the authorized sale of components that “substantially embody” a process patent. Here, Intel’s authorized sale of chip components to Quanta exhausted LGE’s patent rights. Lastly, there’s the WiMAX patent pool, which made a lot of headlines. What would be the impact on Free software? Six big technology companies are spearheading a plan to jointly license patents that cover the wireless technology called WiMAX hoping to limit royalty rates that could deter customers from using it. The participants are Cisco Systems Inc., Intel Corp., Samsung Electronics Co., Sprint Nextel Corp., Alcatel-Lucent and Clearwire Corp., according to people familiar with the situation and a document outlining the group’s plans. They have scheduled a conference call Monday to announce an organization, the Open Patent Alliance, to gather rights to WiMAX-related patents and license them to makers of computers, networking devices and other products, these people said. The two management boards will then decide whether the appeals should be further processed or not. If they decide in favour of proceeding, the chairmen of the two boards are required to establish a conciliation panel which will attempt to resolve the appeals. The process could take several months. As an article about this development, consider one from the BBC. Brazil, India, South Africa and Venezuela have complained that there was not enough time given to discuss improvements to the format. The ratification of OpenXML would be an important seal of approval for Microsoft, which has long been held to task for its failure to embrace open standards. Government bodies would be more likely to adopt the standard if it had an “open” rubber-stamp as many are concerned that storing documents in a proprietary format could cause problems for future archiving. The Office OpenXML format was initially approved by the International Organisation for Standardisation (ISO) in April but will now remain on hold while the appeals are investigated. This could take several months. There is a good summary of recent events in the links at the bottom. Until a decision is made, Microsoft will pretend that OOXML is pending approval and is therefore “open”. Over the past day we have identified some incidents (mentioned in the IRC Channel) where Sharepoint-dependent bits of software are characterised as ‘open source’. The same goes for other such projects that depend on the proprietary Microsoft stack, but that’s a story for another post. South Africa, Brazil, India and Venezuela have officially appealed ISO’s vote on Microsoft’s OOXML (DIS 29500), leaving OOXML in limbo until officials in the ISO/IEC hierarchy determine how to resolve the complaints. South Africa’s appeal cites instances both before and during the Ballot Resolution Meeting held on Feb 25-29 2008 in which the ISO/IEC JTC1 directives were not followed, voices concern over the circumvention of the consensus-building process by large organizations, and challenges the validity of the final vote…Brazil’s appeal raises additional objections to those cited by South Africa, including the failure to allow the Brazilian delegation to present its proposal regarding “legacy” formats and the failure to deliver the final text of DIS 29500 as required under the directives…IEC spokespersons confirmed the receipt of formal appeals from India and Venezuela, though the exact nature of the complaints was not known…Denmark’s Open Source Leverandørforeningen (OSL) lodged an official complaint to the ISO vice president and Danish Standard managing director Jacob Holmblad urging ISO to reconsider OOXML in light of the violation of the directives… The UK’s Unix and Open Systems User Group (UKUUG) mounted a legal challenge to a British Standards Institute decision to approve the fast-tracking of OOXML. In a statement, the ODF Alliance greeted with skepticism Microsoft’s announcement of its intention to include support for ODF in the first half of 2009, noting that “the proof will be whether and when Microsoft’s promised support for ODF is on par with its support for its own format,” while citing the announcement as a reflection of “the strong demand from customers worldwide, especially governments, for access to ODF…”. A report published by the New York State’s Office of the CIO and the Office for Technology — “A Strategy for Openness: Enhancing E-Records Access in New York State” — concerns issues that feature prominently in the growing public debate over document formats, including choice, cost and mandating in procurement. By far the most thorough review and analysis of the issue to date, the report found that increased numbers of formats for doing the same office tasks increase complexity, add to costs, and do not increase choice. Calling for harmonization between ODF and OOXML, the report concludes that “the use of single, standardized formats increases efficiencies and furthers compatibility and interoperability,” and requests that New York State “be added to the list of those who are asking proprietary vendors to directly support document formats such as ODF or other formats that maintain the same level of ODF’s openness.” The report notes that “despite expressly being asked, not one of the 114 commentators cited a single study finding higher costs after migration to open format solutions.” The report recommends a process culminating in April 2009 that will determine specific changes to procurement policies to “integrate openness… as one of the most desired features” and other requirements to allow state agencies to begin accepting office suite documents in open formats. A new international group, the Digital Standards Organization (“Digistan”), has launched an appeal for signatories to a declaration calling on governments to: procure only information technology that implements free and open standards; deliver e-government services based exclusively on free and open standards; and use only free and open digital standards in their own activities. The Hague Declaration is premised on the idea that more and more of our basic freedoms (speech, association, assembly, etc..) are exercised on the Internet. Full and effective participation in government and society, and indeed access to public services, education and opportunity, is therefore increasingly dependent upon access to electronic communications. As such, the declaration calls on governments to ensure affordable, equal access to the Internet, recognizing the unique role that free and open digital standards can play in ensuring this result. Conformance to the ODF specification and interoperability among ODF-supporting applications is essential. You can help. Join the discussion list regarding the creation of a new OASIS ODF Implementation, Interoperability and Conformance (IIC) Technical Committee. Anyone, including OASIS members and non-members, may subscribe to the list by sending a message to: oiic-formation-discuss-subscribe@lists.oasis-open.org. The preliminary statement of scope for the TC includes providing a means for implementers to create applications which adhere to the ODF specification and are able to interoperate. As such, the TC may publish conformance test suites to confirm the interoperability of ODF-supporting applications and produce a set of implementation guidelines, among other deliverables. Discussion on the e-mail list will be open for 90 days. Please welcome the following new member: Network Design & Integration (USA). Here are some of the latest developments in the OOXML saga. These are minor developments, but nonetheless, they are noteworthy. Below you can find some concrete proof of the deficiencies of the legal system. Only those who can afford to pursue justice will ever actually see it. On the face of it, financial constraints may stand in a way of unmasking the dodgy process carried out by the BSI. “The decision to publish or not ISO/IEC DIS 29500 as an ISO/IEC International Standard cannot be taken until the outcome of the appeals is known,” said an ISO statement on Thursday. 29500 refers to Microsoft’s standard. Williams said there was still a case for the UKUUG’s appeal on the grounds that there had been “procedural irregularities” in the BSI’s decision to back OOXML. The BSI had supported the Microsoft standard after clearing a consensus vote in its favour among members. The UKUUG told the court there had been no consensus because one member, IBM’s Ian Larner, had abstained after long opposition to OOXML’s ratification. Based on sources of ours, Alex Brown too was involved in the BSI this time around. Alex Brown [1, 2, 3, 4, 5, 6, 7, 8, 9, 10, 11, 12, 13, 14, 15, 16, 17, 18, 19, 20, 21] is meanwhile planning to deliver the his truth on this subject, so he rightly gets criticised early on. Your description seems to imply that somehow you, unlike others, can deliver the truth. In all fairness you should recognize that whatever you say is your own view and is subject to the same level of questioning as what anybody else says. You don’t own the truth more than anybody else and what is considered information by one can be seen as misinformation by others. For example, you’ve generated your own share of misinformation with your claims about ODF compliance that are disputed by Rob Weir. This talk is due to take place in the UK. What story will he tell? We have seen many times before how Microsoft rewrites history (whitewashing) to bury its embarrassing stories of sheer corruption. The ISO, unsurprisingly, just follows this herd. South Africa was one of the nations that appealed against ISO’s decision. There will soon be an XML workshop over there. Here are the names of those who will attend. Participants will include representatives from government, universities, research organisations and the private sector. The South African Burea of Standards, which lodged the first official appeal against the ISO process to make Microsoft’s OOXML an international standard, will also be participating. Microsoft South Africa, IBM, Sun Microsystems and the Meraka Institute are sponsors of the event and entry to all the workshop and tutorial sessions will be free to the public. Patrick Durusau is the editor of OpenDocument Format (ODF) 1.2 at OASIS, while Rob Weir is the co-chair of the OASIS ODF Technical Committe. Steve Pepper is represented Norway on ISO/IEC JTC 1/SC 34, the ISO subcommittee for document description languages, since 1995, and convened the Topic Maps Working Group since it was founded. There may be some more information in this article. The other day we mentioned very briefly the departure of Microsoft’s managing director in India. Possible reasons for this are finally approaching the surface. Neelam Dhawan, Managing Director of Microsoft India, will leave the company as of 30 June. 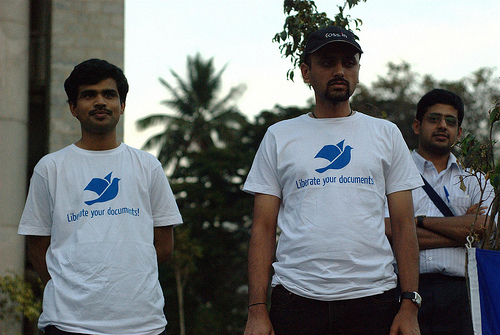 Some media sources cite the Indian ooxml debacle as a reason. In relation to the failure of Microsoft India to get a positive vote outcome Neelam Dhawan’s bail out casts a negative light on the company. If standard setting gets performance based and a standard is not let through due to its technical merits but the fear of managing staff to lose its position it comes at no surprise that the management will fight with all means for the adoption of suboptimal solutions. Microsoft India even filed a complaint against the standard body No vote that caused the outrage. Wipro Microsoft alliance is a shame for all Indians – alliance or slavery? What’s up with Microsoft India? The following article was found by reader ‘ZiggyFish’ and already discussed in the IRC channel (#boycottnovell at FreeNode). Mind the comparison which is made to Vista disinformation. But MDOP buyers could easily have bought the bundle to install other components, and left Application Virtualization (formerly known as SoftGrid) untouched, pointed out Brian Madden, an independent virtualization technology analyst and blogger. “Saying you’ve sold 6.5 million MDOP licenses is like claiming 40% of consumers are using Vista today,” he said.